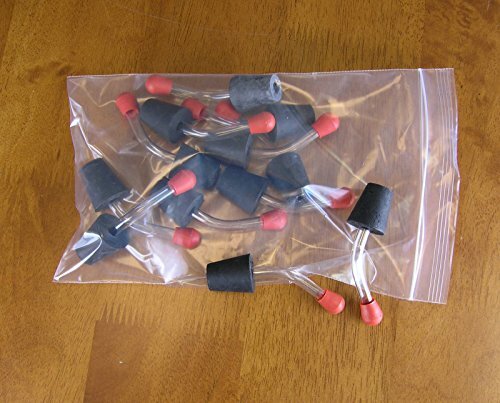 Hummingbird Feeder Stoppers with a Ball Bearing sold wholesale in case packs of 24. HBF-1516BB - The conical shape of this stopper has a diameter of 5/8" at the bottom and 7/8" at the top. Tube diameter is 1/4" and 2-1/2" long. Overall length 3-1/4"." TIP: Always fill your feeder completely full with cool nectar. Insert the stopper and invert quickly to avoid any air entering the feeder. Tube feeders operate on a vacuum principle. Only if the feeder is initially filled completely full will the vacuum form!